The What: Luxul has begun shipping its new Epic 4 routers. The first in the Epic series, Epic 4 offers additional smart features for enhanced operation and serviceability. The What Else: The Epic 4 Series is designed to offer 600-plus Mbps WAN-to-LAN performance. The Epic 4 is available in two different form factors: the XBR-4500 is more traditional design with ports on the front, while the ABR-4500 is tailored for the AV installer with ports on the back, and user selectable blue/green LED lights on the front. Both Epic 4 models support multi-WAN (up to four) connections with load-balancing and auto-failover, and USB 3.0 for fast file sharing. 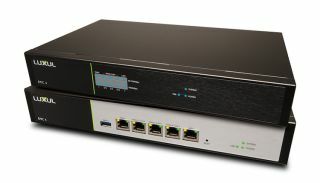 The Epic 4 Series also features additional capabilities, such as content filtering from Router Limits, remote management from Domotz (coming in Q2) and ihiji to improve the uptime and performance of the network and the devices connected to it; and wireless controller functionality with Luxul “Roam Assist” technology.